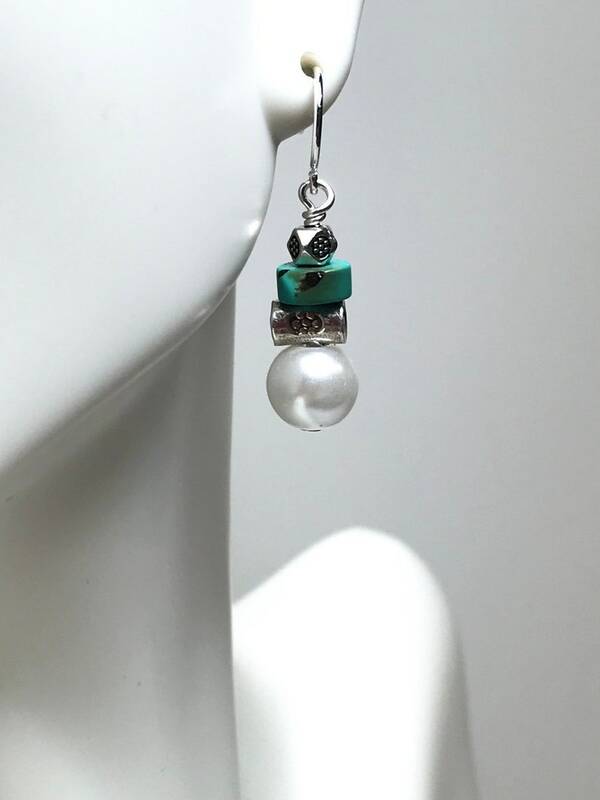 These earrings are made with high quality Sterling Silver, Turquoise and Pearl beads. These will quickly become your favorite pair! I love the contrasting materials and gemstones with the pearls. These earwires are Sterling Silver filled. Each pair comes with a set of silicone ear nuts to keep them securely on your earlobes. If you have any questions please message me and I will answer as soon as possible. Love the earrings and the Harley colors. Just the right size.